Serving our patients with concern, loyalty and compassion by providing the highest quality, comprehensive clinical skills and medical management available, in the most cost-effective manner. 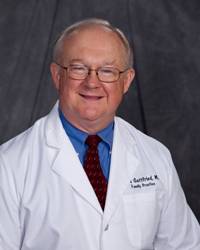 Dr. James Gottfried was born and raised in Upper Sandusky, Ohio. He graduated from Capital University in 1972 with a B.A. in Biology. Dr. Gottfried graduated from the Ohio State University Medical School in 1975 and went on to do his Family Practice residency at Grant Hospital in Columbus, Ohio. During his last year in residency he served as Chief Resident. Dr. Gottfried is certified in Family Medicine through the American Board of Family Medicine and maintains his certification status by recertifying every seven years. He is an active member in the American Academy of Family Practice, Ohio State Medical Association, Ohio Academy of Family Medicine where he served on the Sports Medicine Committee, and the Huron County Medical Society where he served as President. Dr. Gottfried is an active member of the Fisher Titus medical staff. Over the years he has served as Chief of Staff, Chairman of Family Practice, and Chairman of the Credential Committee. He has also sat on the hospital’s Joint Council, Executive Committee, and Ethics Committee. Dr. Gottfried is currently on the Huron County Health Board and is the Medical Director at Gaymont Nursing Center. Dr. Gottfried joined the Norwalk Clinic in 1978 and branched off in 2003 starting James A. Gottfried M.D., Inc. He enjoys all aspects of Family Medicine especially pediatrics, sports medicine, and diabetes. Dr. Gottfried and his wife Patti, have three grown children: Heather, Matthew, and Michael. In his free time he serves as the Norwalk Truckers team physician (33 years and still going strong). He loves to boat on Lake Erie, Fly Fish on the Platt River in Colorado, travel, and raise sheep. Dr. Rolland Rogers grew up in Cincinnati, Ohio. He graduated from Ohio University College of Osteopathic Medicine in Athens, Ohio (2000), and completed his residency training in Family Medicine at Grandview Hospital in Dayton, Ohio and St. John West Shore Hospital in Westlake, Ohio (2003). Dr. Rogers is board certified in Family Medicine. He is an active member of the Fisher-Titus medical staff, American Osteopathic Association (AOA) and the American College of Osteopathic Family Physicians (ACOFP). He has served as the Chief of Family Medicine for Fisher-Titus Medical Center. He is currently a Clinical Assistant Professor for Ohio University and actively trains medical students, interns, and residents. 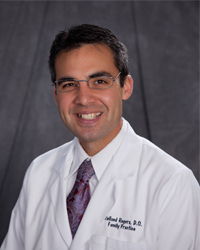 Dr. Rogers and his wife moved to Milan, Ohio in 2003 and joined the practice of James A. Gottfried, M.D. He enjoys practicing a full range of family medicine from newborns to geriatrics, performing minor office procedures, and training future physicians. In his leisure time, he enjoys spending time with his wife and two daughters as well as playing ice hockey, mountain biking, kayaking, and hiking. Dr. Amy Browne grew up in Baton Rouge, Louisiana. 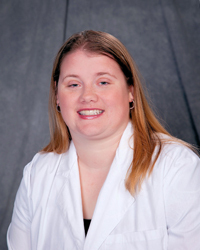 She earned her doctorate of osteopathic medicine (DO) at Des Moines University college of Opsteopathic Medicine in 2007 and completed her residency training in Family Medicine and OMT (Osteopathic Manipulation Therapy) at Firelands Regional Medical Center in Sandusky, Ohio in 2010. Dr. Browne is board certified in Family Medicine. She is an active member at Fisher Titus and AOA. She also enjoys training medical students, interns, and residents. Dr. Browne enjoys the full range of Family practice from the new born patient in the nursery to the geriatric patient in the office. She also takes care of patients in local nursing homes. Dr. Browne moved to Sandusky, Ohio in 2006 where she met her husband, Eric. In her leisure time she enjoys watching movies, reading, and music. She also enjoys spending time with her husband, her son and miniature dachshund, Diesel. Dr. Elyse Tinker was born and raised in Norwalk, OH and is a proud graduate of Norwalk City Schools. 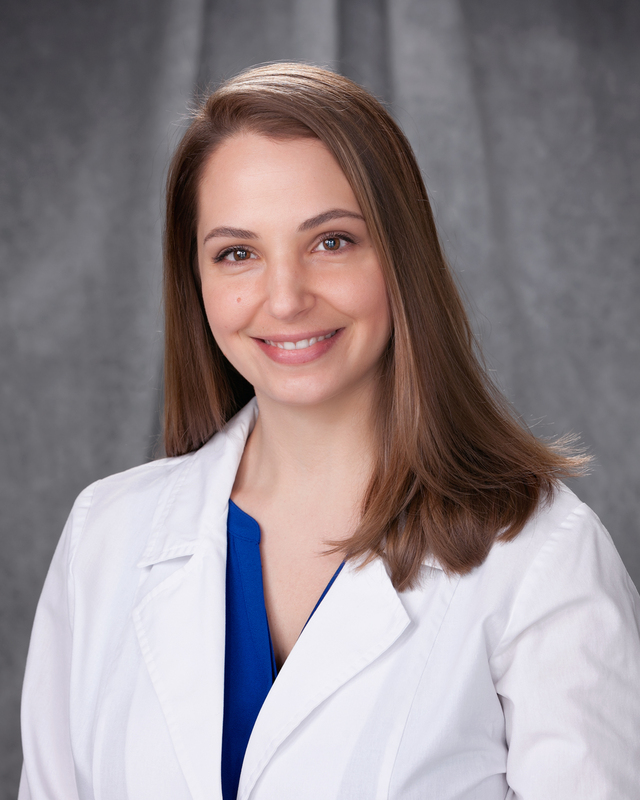 She attended medical school at Ohio University Heritage College of Osteopathic Medicine (OUHCOM) in Athens, OH in 2013 and completed residency in family medicine at MacNeal Hospital near Chicago, IL in 2016 where she also served as chief resident and then as faculty. Dr. Tinker is board certified in family medicine by the American Board of Family Medicine (ABFM) and the American College of Osteopathic Family Physicians (ACOFP). She is passionate about preventive medicine and women’s health but enjoys all aspects of family medicine. Dr. Tinker moved home to Norwalk with her husband and daughter in 2017 to join the practice of her childhood physician, Dr. James Gottfried. She enjoys cooking, gardening, hiking, traveling and practicing yoga in her spare time. 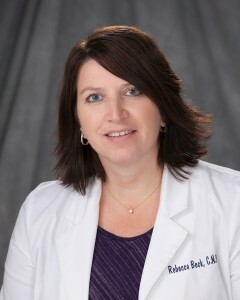 Rebecca Beck is a Nurse Practitioner who received her Bachelor of Science in Nursing from the University of Toledo and the Medical College of Ohio and is certified through ANCC as a Family Nurse Practitioner. She is also a member of OAAPN and is a CPR instructor. Rebecca sees patients from newborn to older adults, and particularly enjoys adolescent and women’s health. She also cares for patients in our local nursing homes. Rebecca lives in Norwalk with her husband, Scott and their three children. She enjoys helping on their family farm, raising cattle and being outdoors. She is active with her kids, their activities and in promoting FFA and agriculture. She is active in her church and is a 4-h advisor. She enjoys spending time with her family, photography, scrapbooking, snowmobiling and traveling. 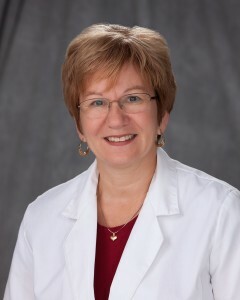 Maureen Y. Jorden, is a Family Nurse Practitioner who recently joined our practice. Maureen received her Bachelor of Science in Nursing from The Ohio State University and her Masters of Science in Nursing from the University of Toledo. 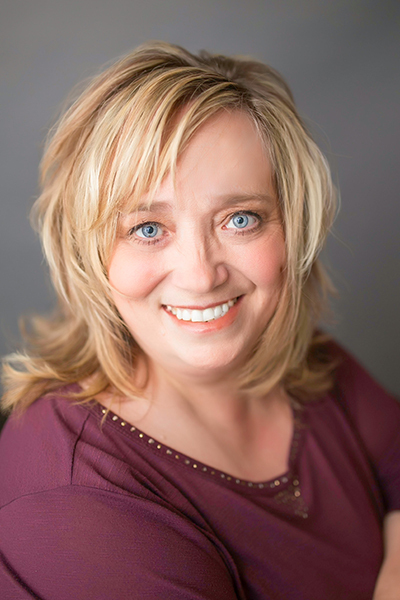 She is board certified by the American Association of Nurse Practitioners (AANP) and holds professional membership with the AANP, the Ohio Association of Advanced Practice Nurses (OAAPN), and the Council of Ohio Healthcare Advocacy (COHCA). She is also a member of Sigma Theta Tau International, an honor society for nurses. Maureen enjoys working with patients of all ages and has a heart for diabetes care and management. She has a wide range of nursing experience including, most recently, as member of the Faculty of the School of Nursing at Lorain Community College, Fireland’s Campus. She seeks to build collaborative relationships with her patients, and feels education is key to working together toward goals. Maureen has 3 adult children and special affection for her cat, Theou. She loves to travel, exploring God’s creation, and enjoys singing, hiking, and canoeing. She loves music and plays both piano and guitar. Louetta has worked in health care for over 20 years and is certified in health information, billing and practice management. She is passionate about patient care and making sure that patients are a priority in this practice. She likes to keep the office on the track with technology in order to make sure that patients are served with the best possible care. In her spare time, she likes to spend time with her family but most importantly her 4 grandchildren.